Flexible needle that instantly replaces drawstrings in any garment. Use in pyjamas, jackets, hoods, sweat shirts, anoraks, swimsuits etc. An essential item to assist in achieving great results fast every time! 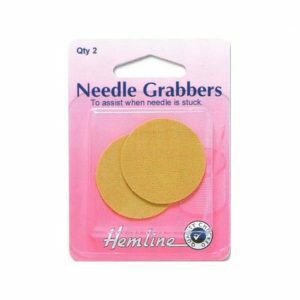 Needle Grabbers Help To Pull Your Needle Through If It Gets Stuck When Sewing With Denim, Leather Or Other Heavy Fabrics. An essential item for either machine sewing or hand sewing which help to make achieving great results fast every time! Automatic Needle Threader. Cleverly threads the needle quickly when it is taken out of the dispenser. Stores needles handily for quick repairs. 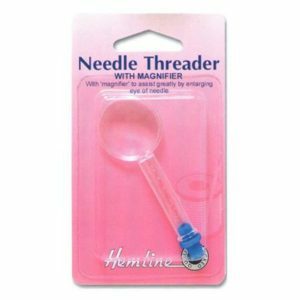 Needle Threader with Magnifier. 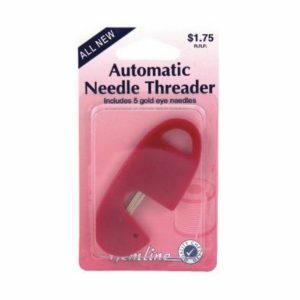 Magnifier helps to thread needles easily. Two useful accessories in one. 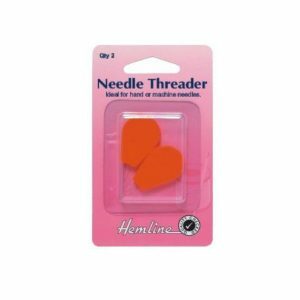 Needle Threader. 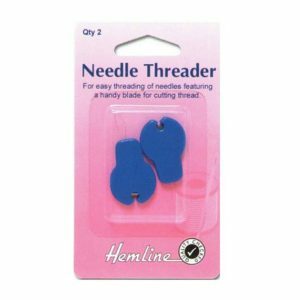 Economical threaders for hand and machine needles. Easy to hold plastic handle. 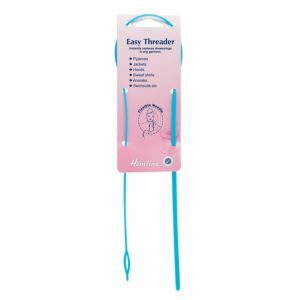 Yarn Threader that is double-ended with a large & small hole. 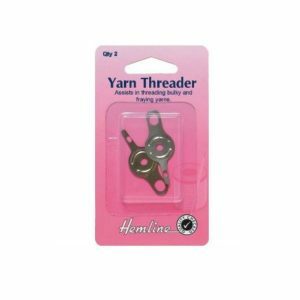 Helps to thread bulky or fraying yarns. Makes threading all your hand needles a breeze.